This is yet another great composition by Shri Kanakadasaru. My nieces sing this song so nicely, I will try to record the same and put it on youtube as early as possible. 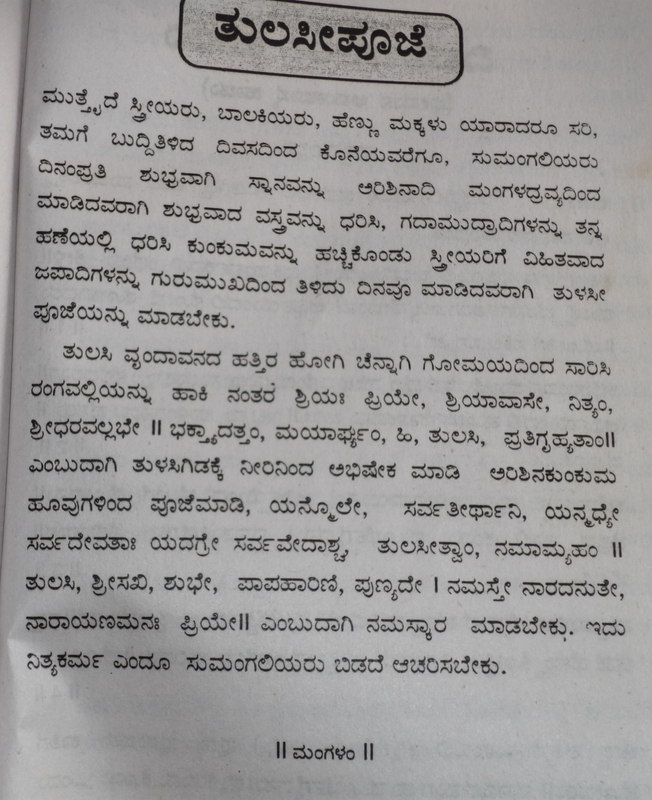 Until than, attached below is the lyrics for the same in Kannada and in PDF format. 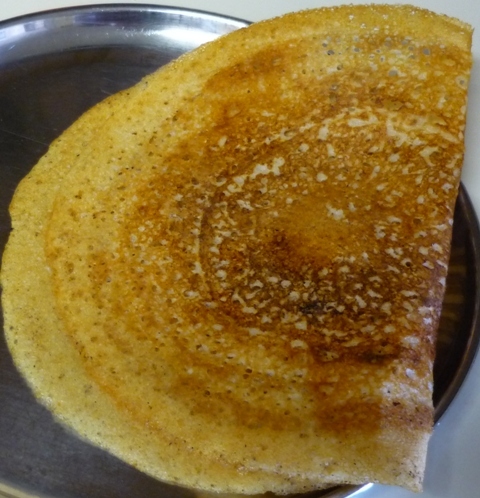 There are several kinds of dosas, and several recipes for each one of them. 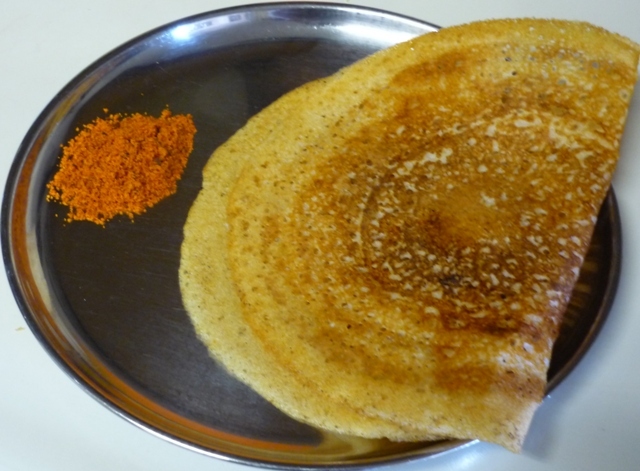 I wanted to make a healthier version of Adai dosa, and came up with this one when I was doing the south beach diet in 2002. I have prepared this several times and it comes out perfect each and every time. And since this is the healthy version, I don’t feel gulity making them for my family. It is also filled with proteins. To top it all, it has ingredients which can be eaten by strict madhwas as well( no onion). Soak rice, dals and methis seeds in water for around 5-6 hours. Next, grind all of them into a smooth paste. Also, add red chillies while grinding. Let the dosa batter ferment overnight. I usually keep the batter in the microwave and they ferment very well. Make dosas the next day. Since the dosa is spicy because of the red chillies, I usually don’t prepare any chatni. P.S: I usually prepare dosa with brown rice, if you don’t want to or don’t have brown rice, you can use normal white rice also. As requested by Shachi, attached below in pdf format is the lyrics for the song ” Sripathiyu Namage Sampadaveeyali “, composed by Shri Purandaradasaru. Shri Vadiraja Thirtharu is the second highest saint in the Madhwa hierarchy, being next only to Srimad Ananda Tirtha(Shri madhwacharya) himself. Shri Vadiraja Thirtharu composed many devotional songs in Kannada. A few have already been posted on this blog. Mr. Venkatesh Rao, who is a regular visitor to this blog sent me this wonderful composition of Shri Vadiraja Thirtharu saying how lucky mother Yashoda is to have loved and cared for Lord Krishna. Attached is the pdf for this song in Kannada. What Regional Indian Languages Do You Know? I have been receiving several comments on this blog from visitors asking me for lyrics in languages other than the ones posted here (English, Sanskrit and Kannada). I have replied to many comments saying I have no knowledge at all about other regional Indian languages like Tamil, Telugu, Malayalam. I do have Baraha Software installed, but since I do not know these languages, I am not in a position to translate or post the lyrics in any of these languages. I should also mention that if you have Windows machine, it is around less than 2 minutes to download, install and run Baraha. So, if you have installed Baraha, and are willing to assist visitors in their quest for lyrics in these languages, let me know. I will send you the Baraha script, and you can translate the same, validate that it is indeed right and post me back the lyrics. I will post the lyrics in all these other languages. I should mention that it is just two clicks once we have the lyrics written in Baraha software. As you can see in the comments section, this will help many visitors to learn and also recite the songs. I am sure it will bring some good karma to us for helping interested devotees learn these songs. Hoping to hear from at least some of you. So many of you had asked for the lyrics for Sri Hanuman Chalisa in Kannada. Shewtha, who visits this blog regularly, has taken the effort to translate the same in Kannada and also has provided the script for the same to be published here. Thanks, Shwetha. So, here is the pdf for the same in Kannada. Even though I have been doing Tulasi Pooje, I wasn’t sure how to put the same in words. So, while browsing the books I had, I found this page which had the detailed procedure about how to do the same. So, I took an image of the same. So, for all those of you who would like to know how to do the Pooja, here is how to do the same in Kannada. 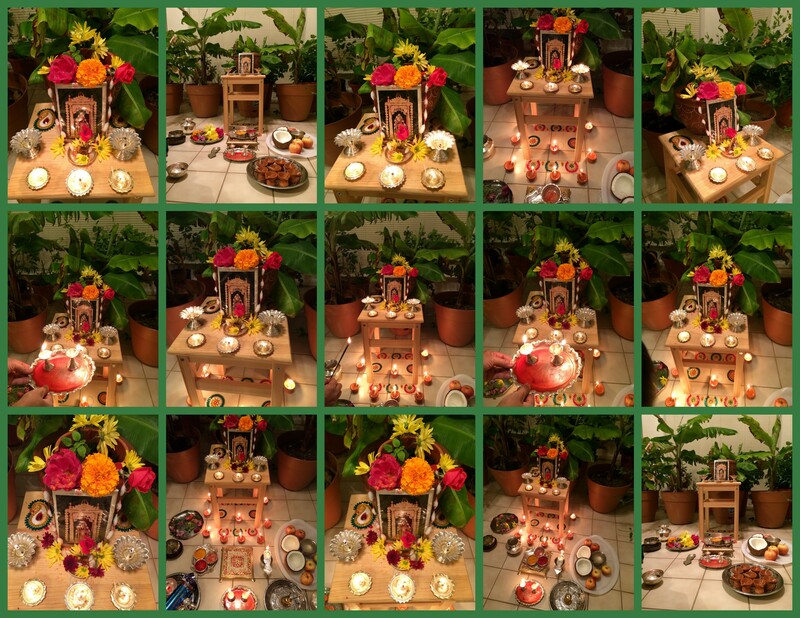 Here is a translation about how to do the Tulasi Pooja. Ladies, married woman, unmarried woman after finishing their daily pooja within the house, should do the tulasi pooje everyday without fail. Do namaskara to Shri Tulasi.